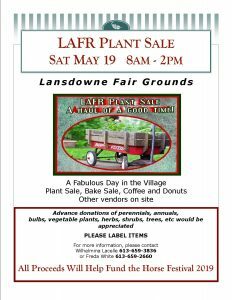 Sat May 19, 2018 from 8am to 2pm at the Lansdowne Fairgrounds. HUGE annual fundraising plant sale sponsored by the Lansdowne Association For Revitalization. along with several varieties of tomato plants, plus much, much more! Other vendors will be on site – bake sale, coffee and donuts. “A Haul of a Good Time”.